Your adolescent client is clearly depressed, but how depressed? How do you know if the depression is severe enough to worry seriously about suicide? Should he be hospitalized? Can you use the same measures of depression that you usually use with adults to help you answer these questions? A client completes the QIDS (described below) each week, before her session, as do you. Her scores have declined every week for a month now. How can you know if this is a real change, rather than random fluctuation? Your client is a young man whose employer has ordered him to be evaluated for alcohol abuse or lose his job because of reports that the employee has been inebriated on the job. Knowing that the appearance of inebriation is an unreliable method for measuring alcohol abuse, you look for a measure that is known to be reliable. You and your client are constructing an individualized measure of her discomfort around her mother-in-law to measure her progress during cognitive behavior therapy. She describes feelings of nervousness, fearfulness, foolishness, insecurity, and resentment. How will you think about constructing a valid measure to monitor her progress? Your client and his wife disagree about how much he drinks. She says he drinks all evening, but he says he only has “a couple of beers” at night after work. How can you verify the validity of these reports? Your clients are the foster parents of 6-year-old Michelle, who has some disturbing behaviors that have caused her to be ejected from previous placements. The foster parents are receiving training now for dealing with those behaviors. Is there a valid way to determine whether their training is having any effect on Michelle’s behavior? 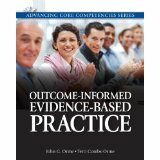 This chapter discusses the important issue of measurement in the context of Outcome-Informed Practice. We first define measurement error and correlation and and discuss the importance of these issues for monitoring client outcomes. We then discuss both reliability and validity and the relationship between the two constructs. Then we describe the issues involved in deciding where, when, and how often to collect data and who should do so. Finally, we discuss how to engage clients in the process and prepare them to collect data for monitoring their outcomes.